Celebrate the opening of the exhibition Walls Turned Sideways: Artists Confront the Justice System. 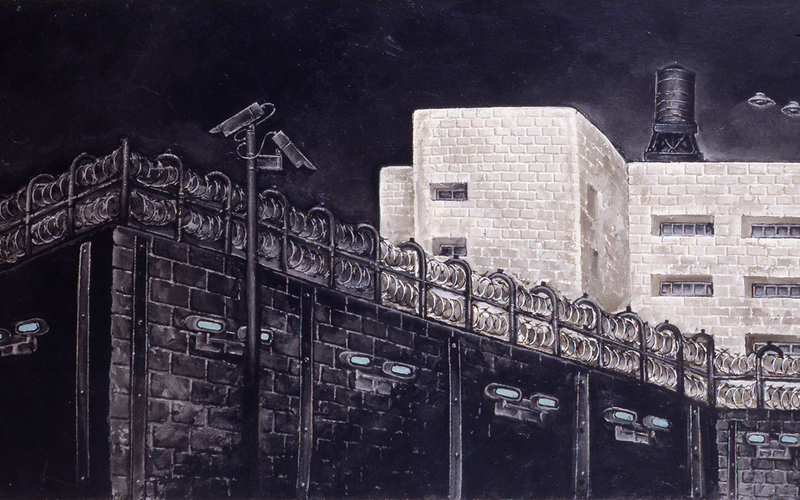 The exhibition includes artists from across the United States who have addressed the criminal justice system and the prison-industrial complex through their artistic practice. Complimentary beverages available for select membership levels from 6:30–8PM. The exhibition opening will include a live performance by Autumn Knight between 7:30 and 8:30PM. Please note that a facsimile weapon will be used in this performance, but be assured that CAMH is a safe space.